London: Quartet Books, 1989, Hardback in Dust Wrapper. 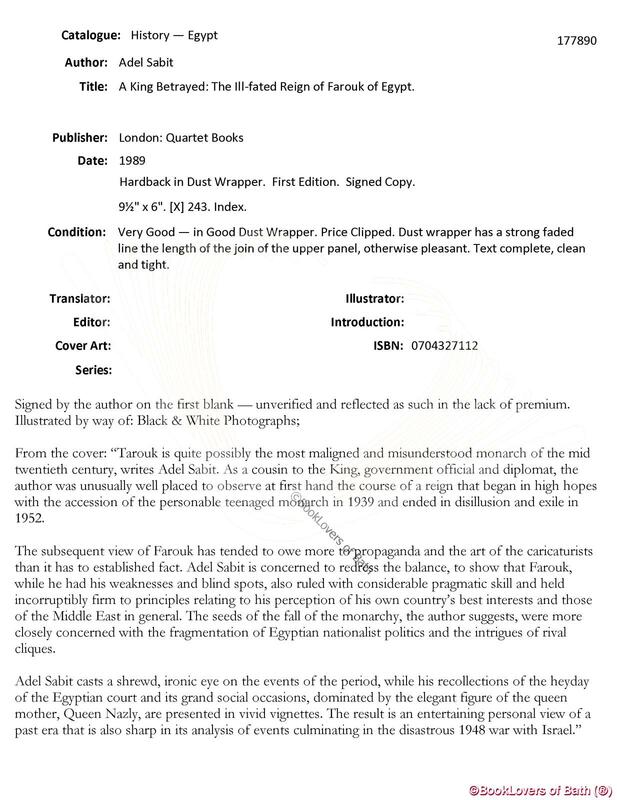 Condition: Very Good — in Good Dust Wrapper. Price Clipped. Dust wrapper has a strong faded line the length of the join of the upper panel, otherwise pleasant. Text complete, clean and tight. From the cover: “Tarouk is quite possibly the most maligned and misunderstood monarch of the mid twentieth century, writes Adel Sabit. 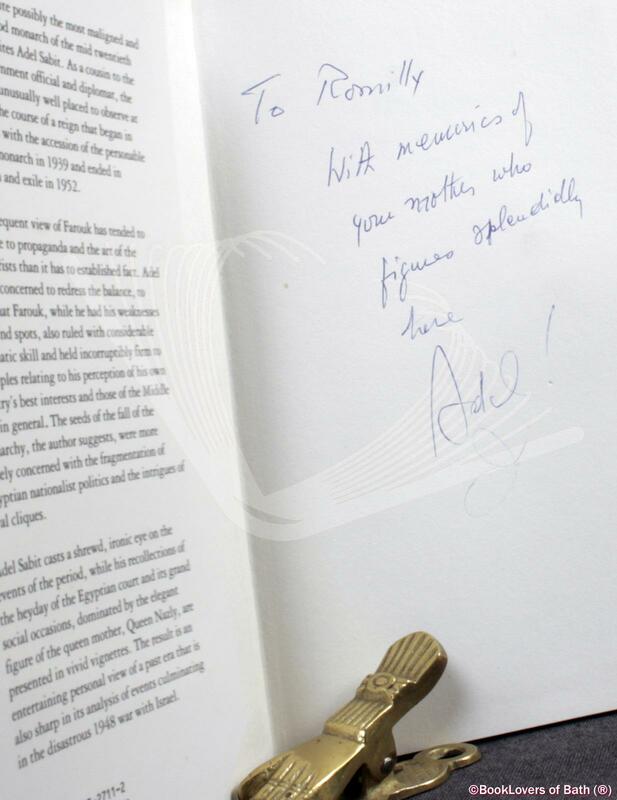 As a cousin to the King, government official and diplomat, the author was unusually well placed to observe at first hand the course of a reign that began in high hopes with the accession of the personable teenaged monarch in 1939 and ended in disillusion and exile in 1952. The subsequent view of Farouk has tended to owe more to propaganda and the art of the caricaturists than it has to established fact. Adel Sabit is concerned to redress the balance, to show that Farouk, while he had his weaknesses and blind spots, also ruled with considerable pragmatic skill and held incorruptibly firm to principles relating to his perception of his own country’s best interests and those of the Middle East in general. 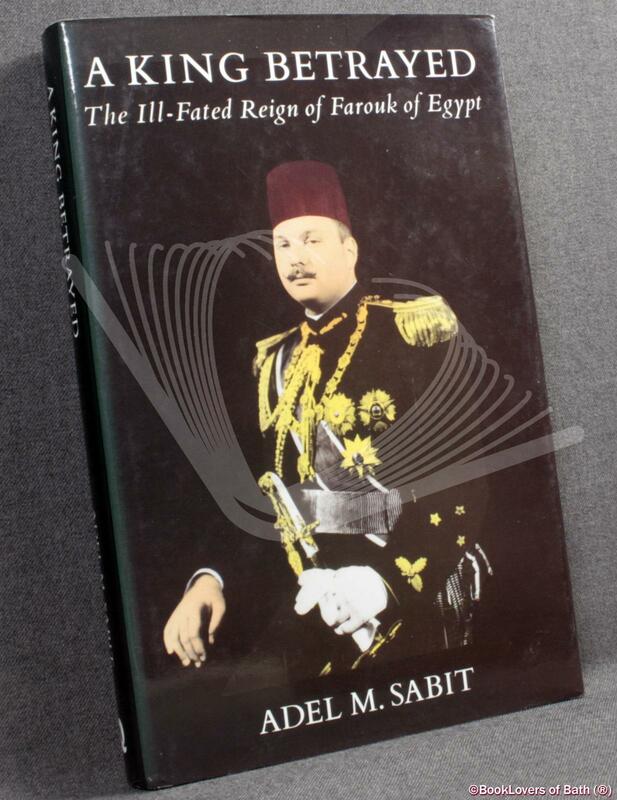 The seeds of the fall of the monarchy, the author suggests, were more closely concerned with the fragmentation of Egyptian nationalist politics and the intrigues of rival cliques. Size: 9½" x 6". Black boards with Gilt titling to the Spine. [X] 243 pages.